The sides meet in Carrick-on-Shannon on Saturday afternoon. ROSCOMMON HAVE MADE one change for Saturday’s Connacht U21 football final against Leitrim. Manager Nigel Dineen brings in Mark Nally to his starting line-up at full-forward with the Roscommon Gaels player replacing the injured Kevin Finn from Strokestown. Nally had started in the quarter-final victory against Mayo and bagged a goal in their 4-10 to 1-8 success in Castlebar. John McManus and Shane Killoran both retain their places at wing-back and midfield respectively, having been brought into the side for the semi-final win over Sligo after not being involved against Mayo. There are nine survivors from the Roscommon team that featured in last year’s Connacht U21 final when they were defeated by Galway. David Murray, McManus, Fintan Kelly, Conor Daly, Thomas Corcoran, Enda and Donal Smith all started in that extra-time loss while Ciaran Kilcline and Shane Killoran came on as substitutes. There are five survivors from the setup that reached the 2012 All-Ireland U21 final with Murray, Daly and Donal Smith starting in that game while McManus and Kelly came on as substitutes. Rosconmon are chasing their third Connacht title in five years as they contest their fifth successive provincial final. Throw-in at Carrick-on-Shannon on Saturday afternoon is 2.30pm. ROSCOMMON: Colm Lavin (Éire Óg); David Murray (Padraig Pearses), Seán Mullooly (Strokestown), Cathal Kenny (Oran); John McManus (Roscommon Gaels), Fintan Kelly (Castlerea St. Kevins), Conor Daly (Padraig Pearses); Shane Killoran (Elphin), Thomas Corcoran (Strokestown); Ciaran Kilcline (Roscommon Gaels), Mark Healy (Roscommon Gaels), Enda Smith (Boyle); Diarmuid Murtagh (St Faithleach’s), Mark Nally (Roscommon Gaels), Donie Smith (Boyle). Email “Roscommon make one change for Connacht U21 final against Leitrim”. 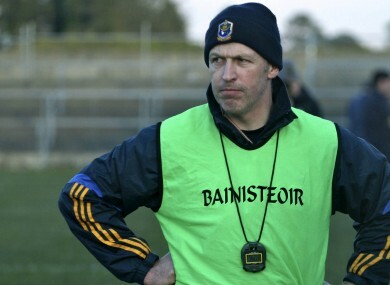 Feedback on “Roscommon make one change for Connacht U21 final against Leitrim”.